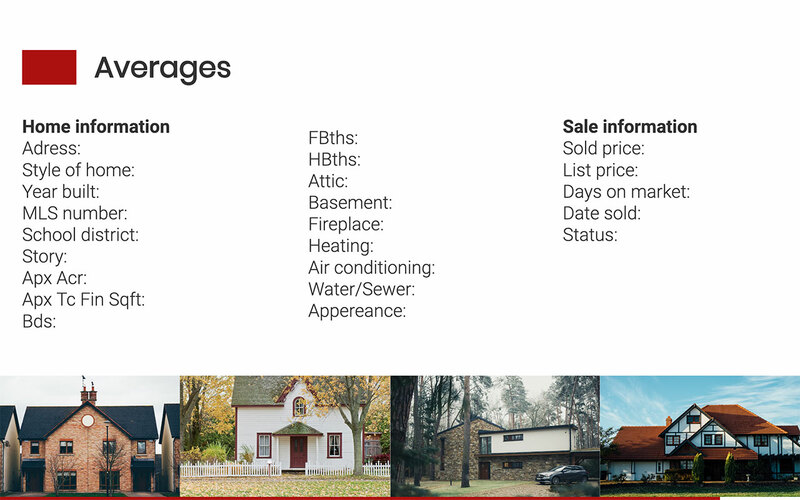 When selling a house, it's vital to price it correctly. Too high and the house will stay on the market forever, while other properties in the area get taken up. Too low and the seller won't be getting fair value in the sale. The housing market is extremely competitive, and buyers will always tend to go for a good deal, regardless of the quality of the house and sellers must keep this in mind when pricing their house for sale. Savvy buyers will also make use of a CMA to ensure that they're getting a good deal on their housing purchase. 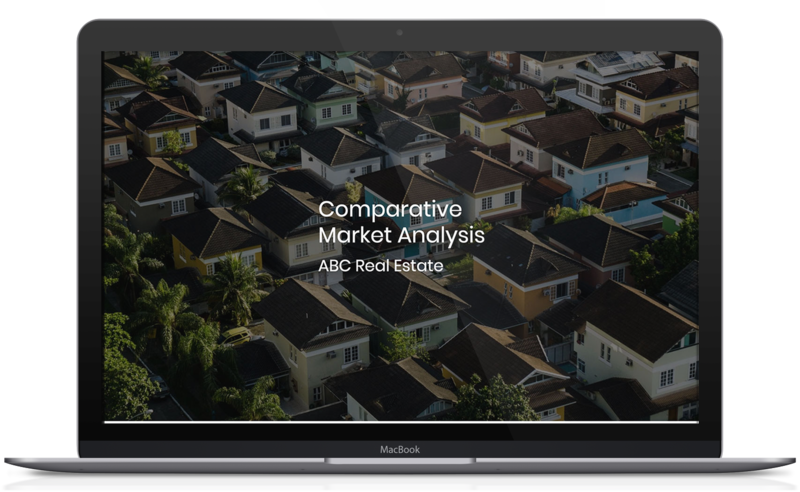 A CMA (comparative marketing analysis) is the key to setting an accurate and realistic price for a property. 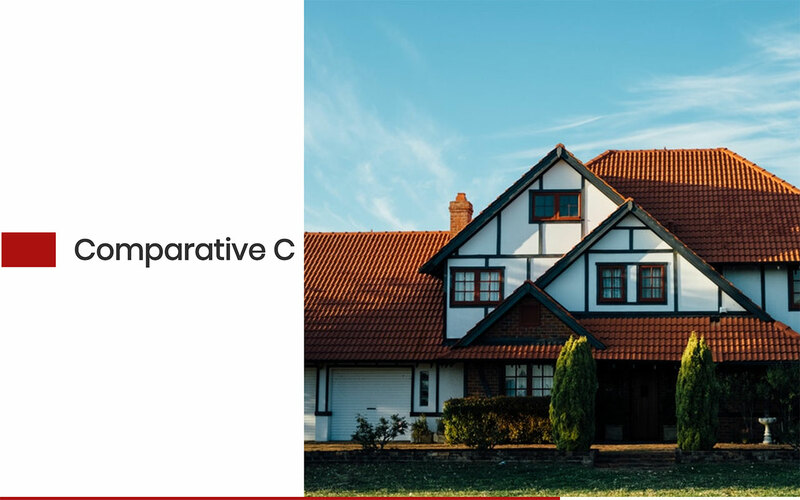 A properly executed CMA takes into account a wide variety of factors but still ensures that only similar houses are compared. 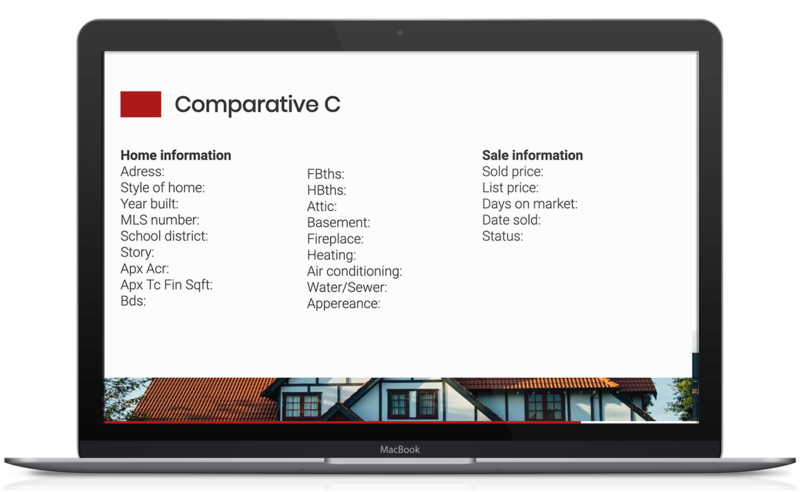 CMAs can be incredibly dense and complex 50-page documents that take not only active listings but also previously sold and unsold listings into account. 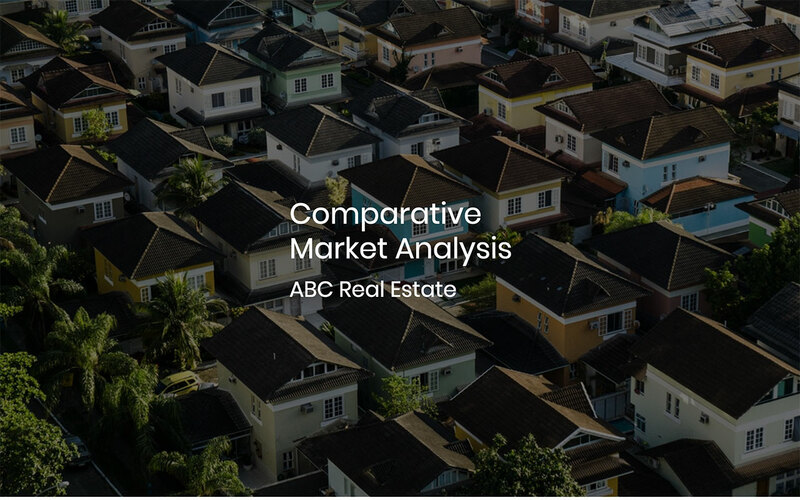 Our comparative market analysis template ensures that you present all the essential details succinctly and clearly. 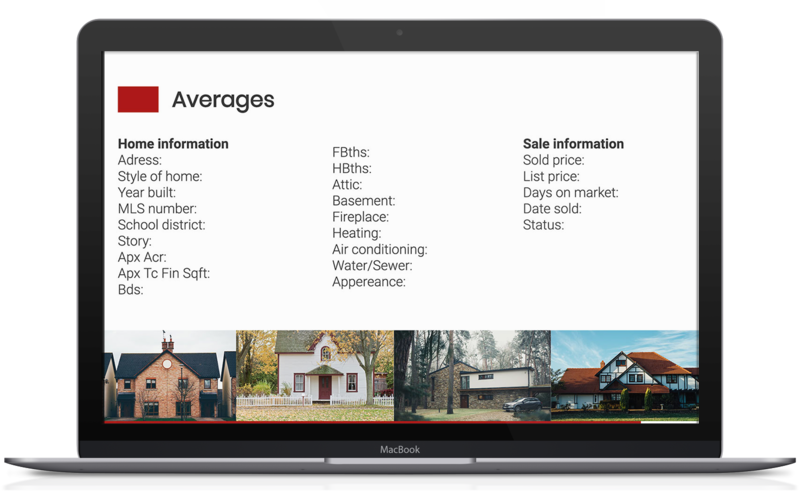 The template can be a summary of a longer report that can then be presented to any relevant stakeholders such as the sellers or your real estate colleagues. Use the title page to provide the location of where the CMA was held. This is the house that you want to price. The more information you obtain and analyze, the better. When comparing houses, it's not enough to simply consider square footage or the number of bathrooms and bedrooms. 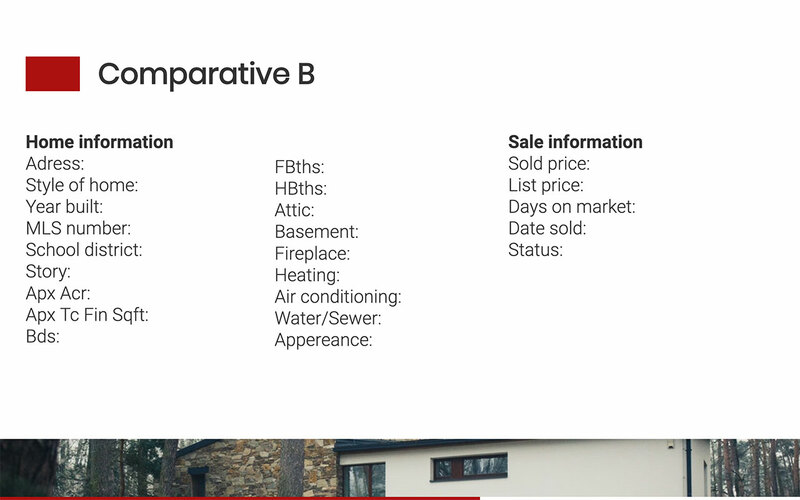 Factors such as the age of construction, amenities, and location factor heavily into the purchase decision of buyers, and all of these details about the subject property should be used in a comparative marketing analysis. 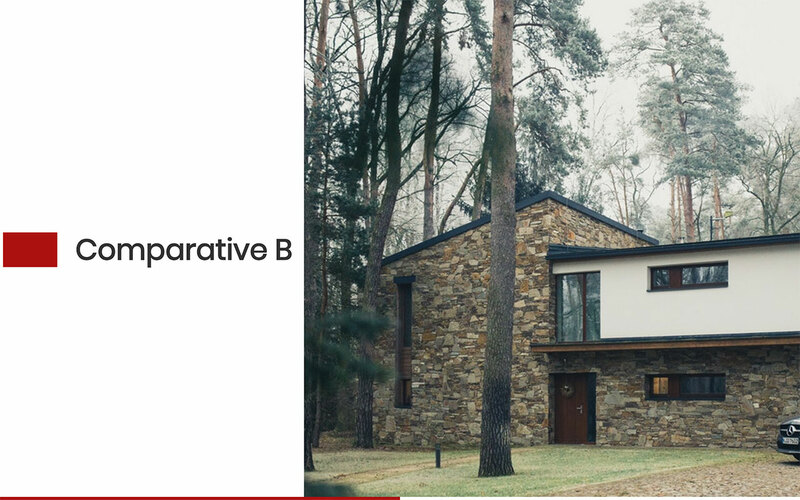 Having a recent photo of the house will also ensure that you're evaluating similar properties that have a similar architectural and structural style. 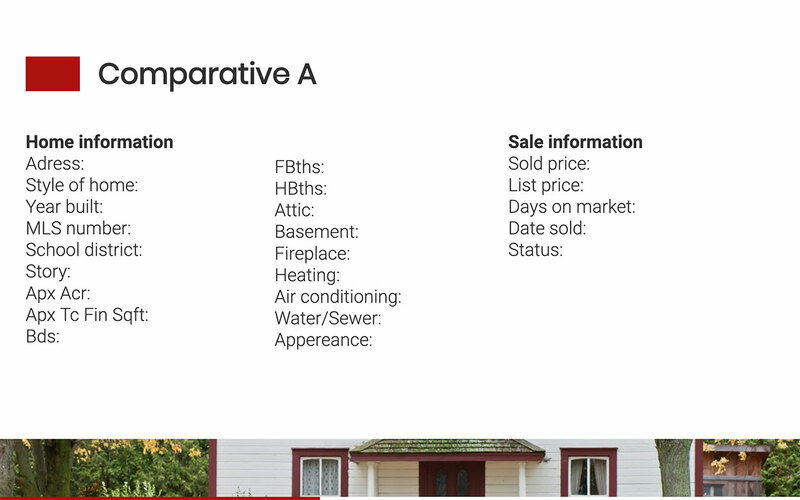 A CMA should be as comprehensive as possible, but eh slide show presentation should limit the number of properties presented to around three. These properties should have a similar square footage to the subject property, the same number of bedrooms, bathrooms and similar amenities. Obviously, these properties should also be in the same general location as the subject house and should be around the same age. They should also be in the same condition, as many buyers are turned off by fixer-uppers, regardless of their price. 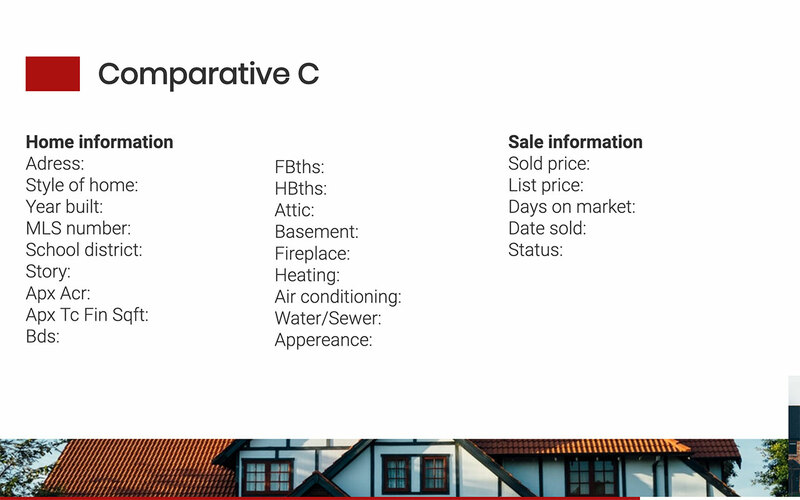 It's easy to look only at recent listings for comparable properties, but taking a look at previous listings can give you an idea of how the prices in the area are trending over time. 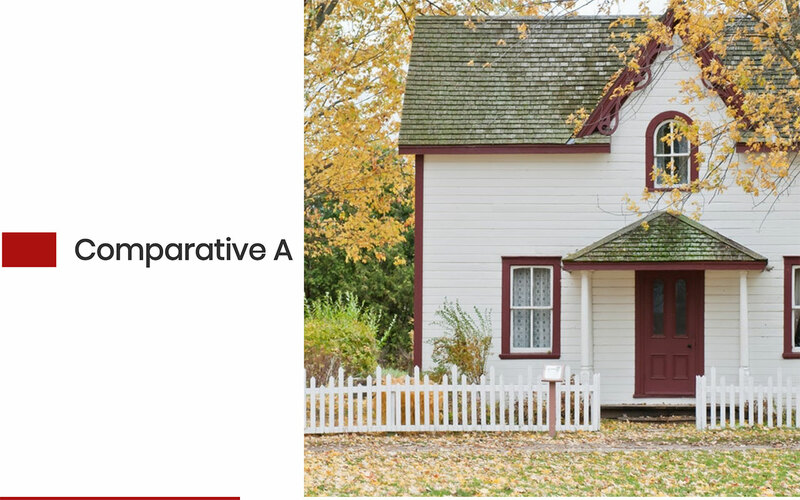 Avoid active listings when searching for comparable houses, as they don’t really give an indication of market value and prices can be inflated with unrealistic expectations. Rather focus on properties that have sold within the last three months. 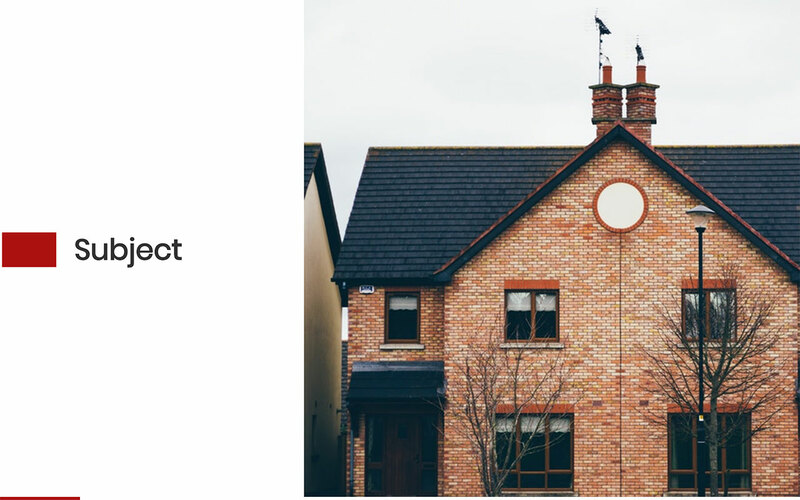 If you want to know what price is entirely unacceptable to buyers, take a look at expired listings, which tend to reflect unrealistic and inflated prices. It's useful also to get information about how long a property has been on the market. This gives an indication of how healthy and vibrant the housing market in the area is and whether or not it's a buyer's or seller's market. 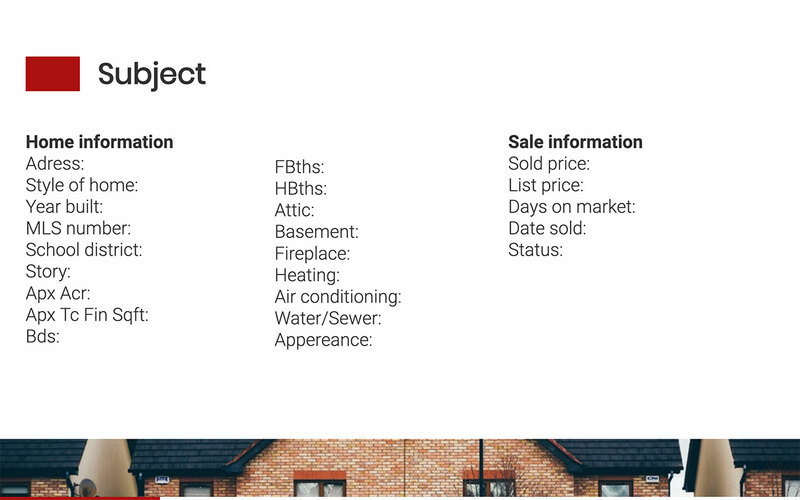 All this information will inform the final price of the subject property. Consider this to be a summary page. 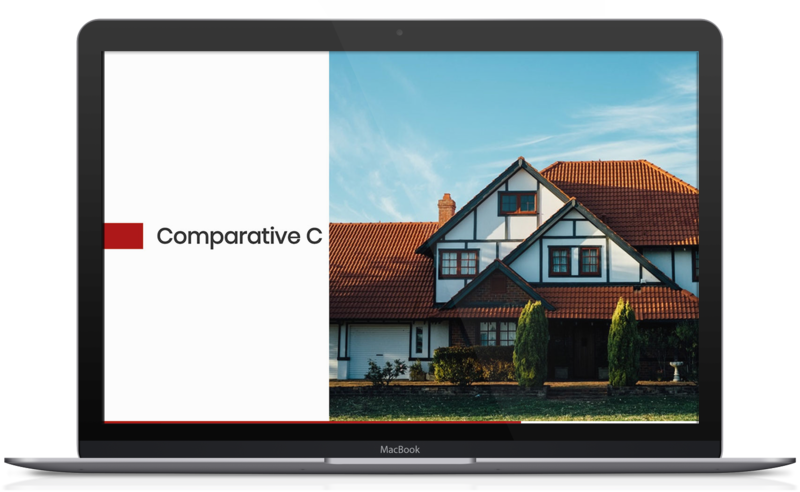 Here you give the results of your CMA, giving the average price at which similar houses sold, as well as information of how long on average houses stay on the market in that location. 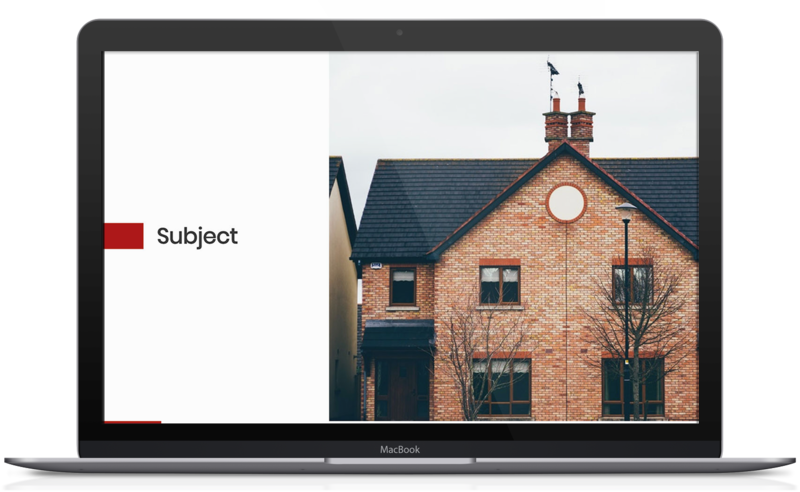 This is the information that will then be used to inform the price of the subject house, as well as provide sellers with realistic expectations of how long their house will be on the market and whether or not they will obtain their full list price.